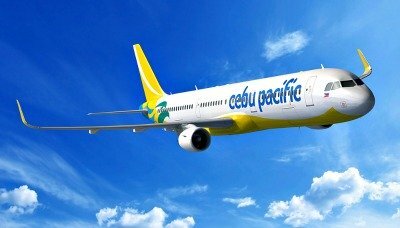 Leading Philippine budget airline Cebu Pacific increases the number of flights between the Philippines and select international routes, on the back of higher demand during the peak yuletide season. From the fourth quarter of 2017 until the first three months of 2018, CEB will add frequency in selected routes in Japan, Vietnam and Indonesia. From the current five times weekly (Sun/Tue/Wed/Thurs/Sat), CEB will fly six times a week (Sun/Tue/Wed/Thurs/Fri/Sat) between Manila and Osaka, Japan starting November 3, 2017 until December 06, 2017. The Manila-Osaka route will increase further to daily operations by December 15, 2017 to March 2018, in time for the Christmas season. For the Manila-Nagoya route, CEB will fly six times a week (Sun/Mon/Tue/Thu/Fri/Sat), up from the current four times weekly (Sun/Tue/Thu/Sat), starting October 29, 2017. For Tokyo (Narita), on the other hand, CEB will boost frequency by 100%, from the current seven times a week, to 14 times weekly, starting October 29, 2017 until March 24, 2018. CEB will also increase flights to and from Bali (Denpasar), Indonesia from the current four times a week to five times weekly, starting December 04, 2017 until March 06, 2018. From five times weekly, CEB will increase flights between Manila and Hanoi, Vietnam to daily, or seven times a week, from December 1, 2017 to January 9, 2018. "We constantly review our route network and frequencies to respond to changing market needs and operational requirements. Depending on seasonal factors, we make flight schedule changes as necessary, while keeping in mind the bookings of our passengers, many of whom book flights way in advance," explained Atty JR Mantaring, Vice President for Corporate Affairs of Cebu Pacific. Cebu Pacific had earlier expressed interest to mount operations between Manila and Tokyo-Haneda, citing strong demand to fly to Japan's Haneda Airport, which is closer to Tokyo's city center. The carrier has been requesting the Philippine government to ask its Japanese counterparts for bilateral air talks for the last two years. For the first half of 2017, Cebu Pacific carried 10.1 million passengers, roughly the same volume in the same period in 2016—the height of the electoral campaign season. Of the total, 7.5 million flew domestic routes, while 2.6 million travelled via CEB's 26 international destinations. The carrier is planning to sell-off three Airbus A319 aircraft over the next 12 months, to make way for brand-new aircraft, the first of which are scheduled to arrive by the first quarter of 2018. CEB is awaiting delivery of seven Airbus A321CEO (Current Engine Option) in 2018; and from 2018 to 2022, an additional 32 Airbus A321NEO (New Engine Option) planes. The carrier also has an existing order for ten ATR 72-600 aircraft from Franco-Italian manufacturer Aerei da Trasporto Regionale, set for delivery from 2017 to 2020. Cebu Air Inc. is the largest carrier in the Philippine air transportation industry, offering its low-cost services to more destinations and routes with higher flight frequency within the Philippines than any other airline. It also offers flights to over 60 destinations including Dubai, Tokyo, Beijing, Bali and Sydney. CEB's 60-strong fleet, comprised of 2 Airbus A319, 36 Airbus A320, 8 Airbus A330, 8 ATR-72 500 and 6 ATR 72-600 aircraft, is one of the most modern aircraft fleets in the world. Between 2017 and 2022, Cebu Pacific will take delivery of 7 Airbus A321ceo, 32 Airbus A321neo, and 10 ATR 72-600 aircraft.